Baby it’s cold outside! That’s how we feel here in Northeast Ohio, but in Sunny Florida or even California, guests can experience the joy of the holidays in a warm and glow that only Disney can bring. Mickey & Minnie tree, at the Tree Trail in Disney Springs. Whether it be the decorative Tree Trail at Disney Springs, offering a dozen of Disney Themed Tree to enjoy. Or all the new stores and restaurants to experience while listening to the Christmas Carols. Or perhaps you prefer just taking is slow. Then maybe the place for you is the Grand Floridian Resort, just a monorail ride to the Magic Kingdom. Here you can sit and enjoy the beautiful Victorian surrounding. Enjoy the sounds of Christmas, and the scent of gingerbread wafting through the air. You can spend hours just sitting and enjoying this beautiful space. 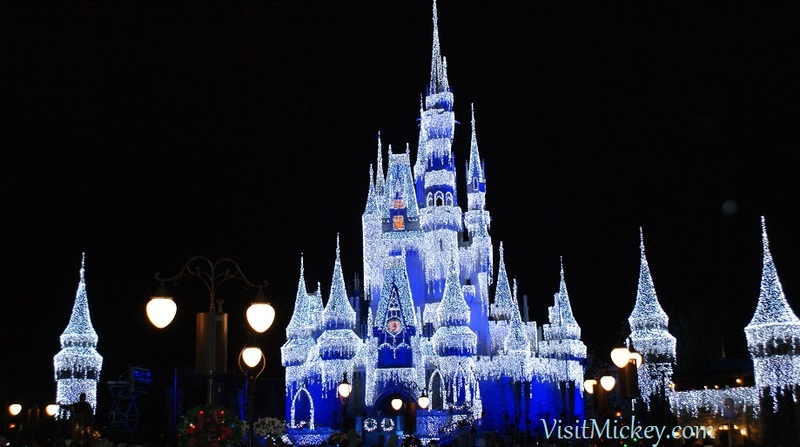 But there is more… Disney offers multiple special events during the holidays, the popular being Mickey’s Very Merry Christmas Party. Here you will find cookie trails, cocoa, eggnog, hot cider. Where it snows on Main Street USA and the most spectacular parade and decorations you’ve ever seen. It may be too late for this year, but you can already book your 2017 holiday travel. Christmas time at Disney World and Disneyland start the second week of November, for the purposes of the party and decor. And run through the end of the year. It’s only a $200 down payment for a Disney Resort Package Reservation. It would be the best gift you can give, the gift of Building Memories. I’ll sign off here… but leave you with these images….